An Israeli cartoonist was fired after his cartoon in The Jerusalem Post depicted Israel’s Prime Minister Benjamin Netanyahu and other members of his Likud party as pigs from George Orwell’s book Animal Farm. The Post fired cartoonist Avi Katz after the newspaper published the cartoon, which shows Netanyahu taking a selfie along with other Likud members after passing a controversial law that officially defines Israel as the national homeland of the Jewish people. The law passed in a 62-55 vote. 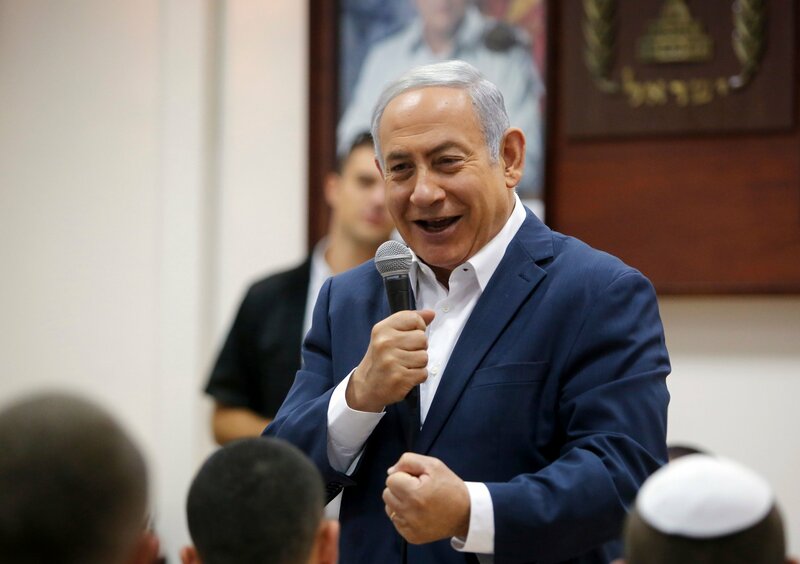 Some critics say that it discriminates against Israel’s Arab community, and many Arab lawmakers tore copies of the law as a protest following the vote. Katz told Newsweek that he was informed of his dismissal shortly after his editor approved the cartoon. "He told me that I am a genius and he is very sorry, but the bosses at the Jerusalem Post had ordered him to jettison me," said Katz. Katz believes the the situation was completely mishandled, saying, "Of course I should not have been fired, I was expressing my opinion as I have for 30 years, as is the job of a cartoonist." Some critics of Katz’s cartoon claimed that it was anti-Semitic for depicting pigs, which is considered unclean in both Judaism and Islam. However, Katz stands by his work, saying, "I thought the pig image was appropriate, it accords with my opinion of the Likud leadership and especially the shameful Nationalism Law." Despite the controversy, the cartoon was not withdrawn. Animal Farm was published in 1945 and is an allegory about the Russian Revolution and subsequent communist dictatorship. In the book, farm animals seek justice and revolt against their human owners, but the leaders of the revolution, the pigs, then form their own authoritarian regime.